Following a lengthy investigation, Scioto County Sheriff’s Deputy Capt. John Murphy said officials have arrested a Proctorville man, Anthony L. McQuaid, 46, charging him with one count of aggravated theft, a third-degree felony. The arrest was made in connection with a $200,000 business deal allegedly gone sideways. The sheriff’s office stated they were contacted on April 11 by a Lucasville business owner stating he had paid $200,000 for some unspecified heavy equipment he intended to sell at profit. According to the sheriff’s office, the deal was made in February. McQuaid allegedly cashed the victim’s check for the equipment but never produced it. Murphy said during the subsequent investigation detectives were in contact with the suspect numerous times and allegedly were told several different stories. After what turned into an investigation involving several agencies, Murphy said the case was presented to a Scioto County Grand Jury which returned an indictment against the suspect. 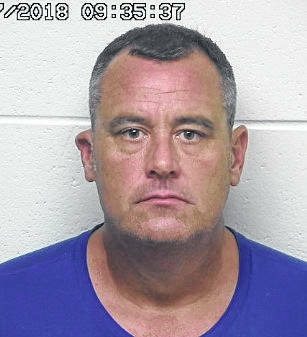 With the assistance of the Lawrence County Sheriff’s Office, McQuaid was arrested at his home Aug. 16 without incident. He appeared in Portsmouth Common Pleas Court Friday and posted a $100,000 bond. The name of the alleged victim was not made public by the sheriff’s office. Scioto County Sheriff Marty Donini stated this is an ongoing investigation which already has resulted in several more victims filing reports that will likely result in more charges being presented to the county grand jury in the future. Anyone with information should contact Det. Jodi Conkel, (740) 351-1091.